Master Docks closely monitors dock and lift regulation changes for the lakes we service. Below are permitting details for Lake Adger, which includes materials and design information. Permitting done through the P.O.A, but all docks are established in the property deed. So before you buy make sure you know if your house or lot can have a dock. Steel 10 x 18 dock. Adger green with 2×8 Pressure treated boards and 20′ walkway. If you are not permitted for your own dock check if you are eligible for a community dock. 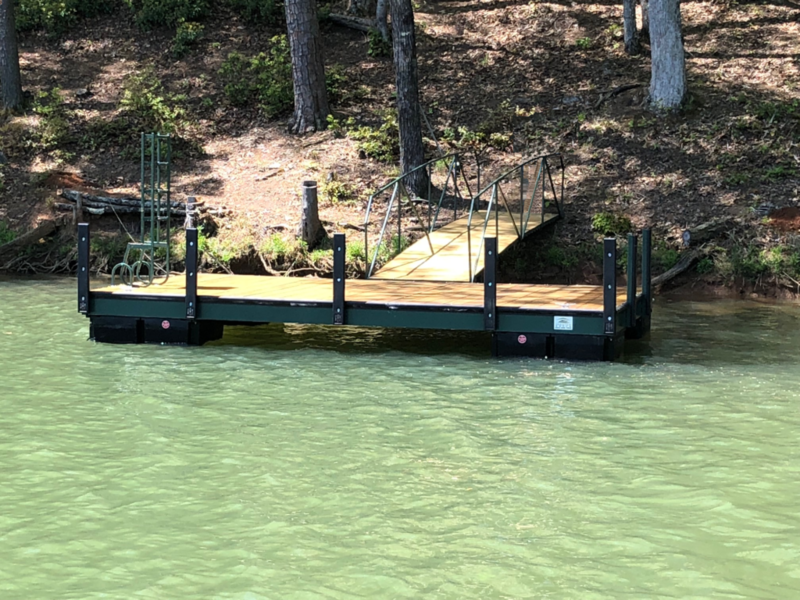 At Master Docks we provide high quality custom steel docks at great competitive prices for the Lake Adger area. If you have any questions on what you can and cannot build on Lake Adger contact us today and we can help guide you through the options.